PR Power was recently honoured as the ‘Best Business Partner’ by Powerlink Diesel Generators. A leading supplier of diesel generators, mobile lighting towers, and water and environmental equipment in Australia, PR Power is also the Australian OEM Partner for Powerlink Diesel Generators. Ranging in size from 8kVA up to 2200kVA, Powerlink diesel generators include open and sound attenuated sets powered by Perkins, Kubota or Cummins diesel engines that are coupled to brushless Leroy Somer or Stamford alternators for assured efficient and reliable operation. 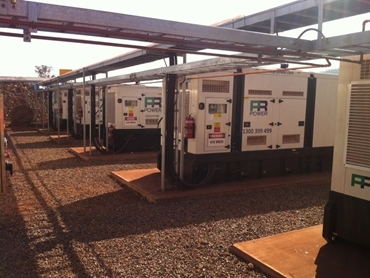 According to Bob Baxter, Power Generation Manager at PR Power, the partnership with Powerlink has allowed PR Power to have access to a range of world class and reliable diesel generators that have been supplied Australia wide for use in applications across the mining, construction, office, medical and data centre segments. Powerlink Sales Director Sidney Ji added that PR Power was recently announced as the recipient of the Best Business Partner award by the Powerlink Group in recognition of their hard work and success.